The fascination for all things Fisherwick Hall continues. Recently, I discovered that the Marquess of Donegal’s Orangery once sported a rather fine portico supported by four carved pillars. 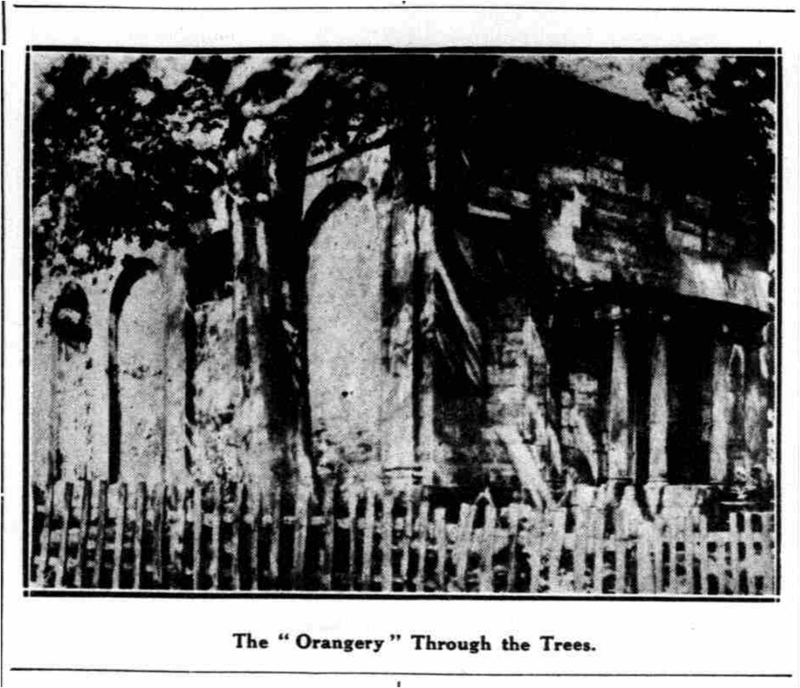 Although the Orangery itself is still miraculously standing in the grounds of what is now Woodhouse Farm, despite being struck by lightning and used as a cow shed for decades, the portico has disappeared. We know it was still there in July 1935, when the Lichfield Mercury ran their, ‘The Beauty that is England’ feature on local country houses past and present, and included both a description and a photograph of it. However, it was gone by January 1947 when an article by ‘A Contributor’ suggested that the portico had been made use of at Moor Hall and Shenstone Court before eventually being purchased by the Lichfield Corporation in the 1930s to mark the entrance to the public gardens on the site of the old Friary opposite what is now the Library and (not for much longer sadly) the Record Office. However, although the portico at the Friary is thought to have come from Shenstone Court I think its highly unlikely that it started out at Fisherwick. Much more convincing is the detective work carried out by Patti Wills. 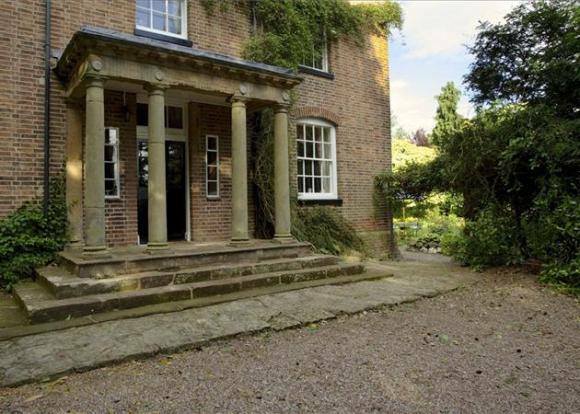 Patti contacted me last week to say she knew of a farmhouse in Elford with a portico. Although locally it had been suggested that the structure originated at Elford Hall, Patti noticed the similarity between the portico at Upfields Farm and the old photograph of the Fisherwick Orangery portico. What’s more, the listed building description for Upfields says, “The porch is reputed to have come from Fisherwick Hall (demolished) by Capability Brown”. I think Patti is right but have a look below and see what you think. I’m very grateful to Patti for this information and so pleased that another piece of the Fisherwick jigsaw puzzle has been found. It’s not over yet though! It’s said that a staircase from Fisherwick was taken to a house on Beacon Street known as Ardmore, solid mahogany doors were made use of at 15, Bird Street and various bits and bobs can be found in Tamworth, including monogrammed wrought iron gates at Bole Hall On a slightly more macabre note, the location of the remains of the Marquess of Donegall and other members of his clan is also a mystery, after the family mausoleum was destroyed during work on St Michael’s church in the mid nineteenth century. The Fisherwick treasure hunt continues…. Parishes: Bolehall and Glascote’, A History of the County of Warwick: Volume 4: Hemlingford Hundred (1947), pp. 248-249.